The Tay Valley Branch is a small but active branch meeting from 19:30 on the 3rd Thursday of the month in the Pitcairngreen Inn, Almondbank (see Club Nights link for directions.). There are no branch fees, meetings are informal and none too serious: those of a sensitive nature or without a sense of humour be warned! The branch draws members from quite a wide area and visitors from other branches are always welcome. Activities range from lunch time “ride in” type meetings to camping weekends, and of course, attending NOC rallies and events. 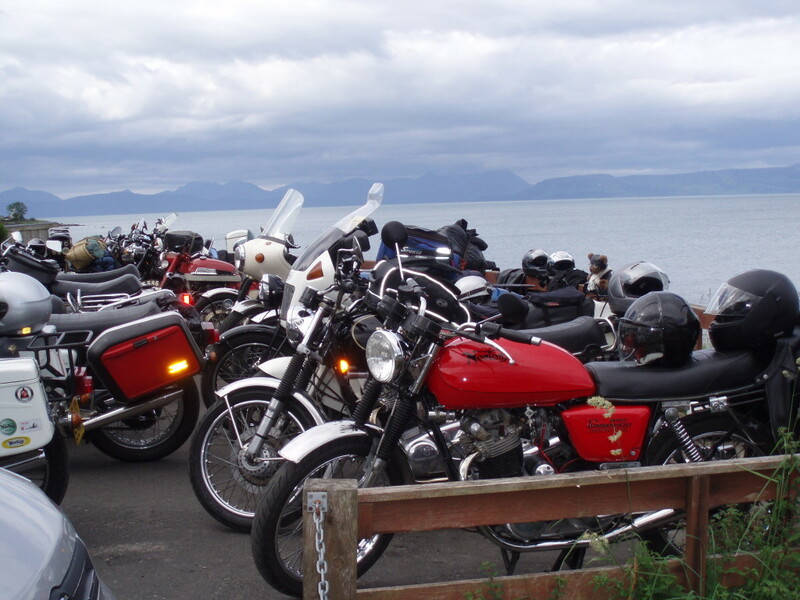 Most of the branch members are regular riders and we get a good turn out at most events. Commandos are well represented, closely followed in number by Featherbed twins and a single or two. An events list is agreed at the AGM in February, but there are also runs and meetings arranged with a few text messages and call or two. We are lucky to have members who are are also involved in other clubs so our members turn out at those events too. We would be glad to see you at a club night or any of the events.